With having diversified portfolio in real estate sector, we assist property owners in getting their property sold. Our team is expert in understanding the exact needs of our clients and handling them as per exact sales demands. Our innovative sales approach helps in achieving maximum sales results and best value of property in short time period. Our professional skill set helps in successful handling all the transactions related to the selling process. Our rich experience and wide network in the real estate has brought us a respectable position for rendering industrial property purchase services. Our professionals understand the property requirements of our clients and then they suggest the best available deal of industrial property matching with their budgetary limit. We not only suggest the property but also helps in getting government approvals, licensing, designing and interiors of the building. 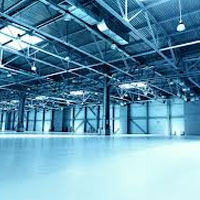 The industrial property lease service helps us in getting ready to use and built-to-suit industrial premises varying in designs, locations and construction amenities. Through our service, clients can find the best suited industrial infrastructure on lease as per their requirements. Our consistent approach towards providing transparent business deals has also won us due appreciation of our clients.